Donald Trump's anti-immigrant policies. Omar won a House seat in a strongly Democratic district in Minneapolis, Minnesota, succeeding Keith Ellison who was himself the first Muslim ever elected to Congress. Omar fled Somalia's civil war with her parents at the age of eight and spent four years at a refugee camp in Kenya. Her family settled in Minnesota in 1997, where there is a sizable Somali population. Before that, she had worked as a community organizer, a policy wonk for city leaders in Minneapolis, and as a leader in her local chapter of the NAACP-the African-American civil rights group. 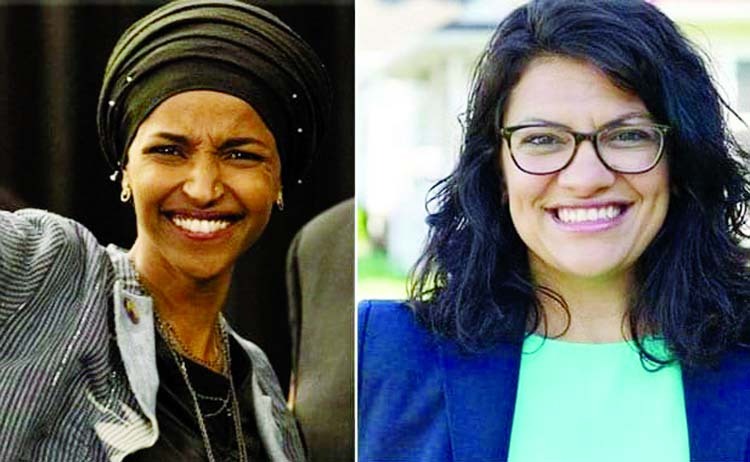 Rashida Tlaib is the Detroit-born daughter of Palestinian immigrants-the eldest of 14 children.